We had to drop our plan of visiting Naresar as it was late in the evening and already dark. We bade goodbye to Bateshwar and moved ahead towards our next destination of Orchha. A long drive of about 3 hours during a winter evening in the northern part of Madhya Pradesh was quite challenging! We reached Orchha and zeroed in on a hotel to rest for the night. Orchha seemed very calm and quiet during the night and we were pretty sure of an exciting day ahead. We woke up to chilly morning and had to wait for quite some time for the fog to clear off to start exploring Orchha. 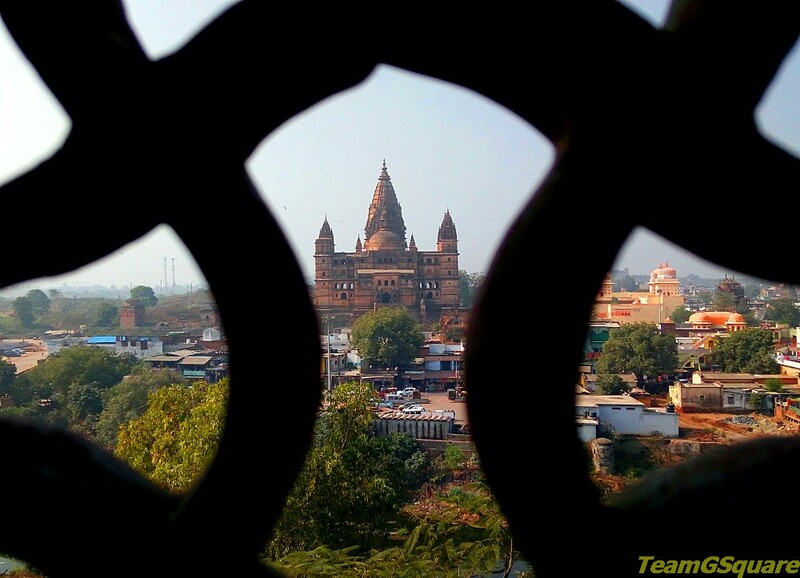 Orchha is a small historical town situated on the banks of river Betwa and is about 130 km from Gwalior. Orchha was the capital city of Bundela Rajputs and was founded by Maharaja Rudra Pratap in 1531 AD. The Bundelas migrated from Varanasi to Garh Kurar and then to Orchha and were considered to be great builders, strong warriors and patrons of art. The Bundelas had to deal with Mughals who were in great command especially in the mainland region of India. Sometimes they fought against the Mughals, and sometimes they expressed great friendship with them, and such behavior always ensured that the Mughals were constantly alert and vigilant. The histories of the opposition towards Mughals by Champartai, his son Chhatrasai, Diman Hardaul, Vir Singh Deo and others deserves mention and have been successful at times in keeping the opposition at bay. The Bundelas kings were great builders with remarkable acumen and foresight. 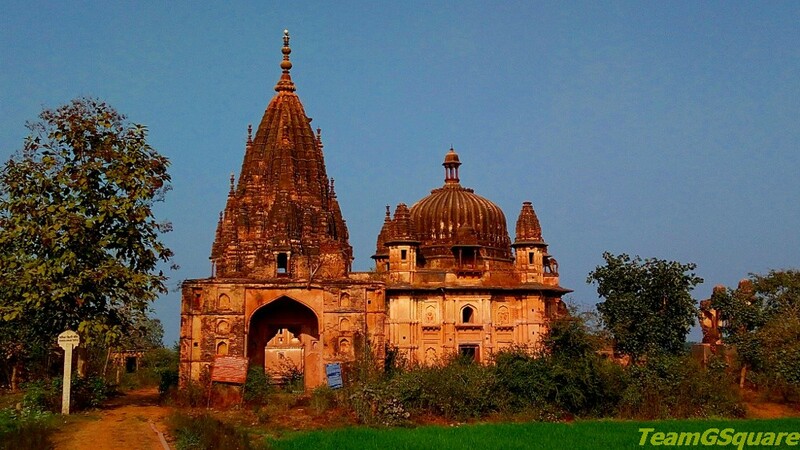 Among the Bundelas, Vir Singh Deo built the maximum number of temples and is considered to be the best among them. The temples built by them today stand as a testimony to the skill they possessed and their devotion towards religion. The legends of Rani Ganesh Kunwari and Madhukar Shah, and Hardaul to this day are impregnated in the walls of Orchha and capture every traveler’s imagination. In this post we make an attempt to list all the temples we visited here. Chaturbhuj Temple: Chaturbhuj temple is one among the grandest temples built in India post 16th century when the Mughals were ruling the larger part of India. This temple was initially built to house the murti of Lord Rama that Rani Ganesh Kunwari bought from Ayodhya, but Lord Rama remained in Rama Raja Temple. This temple stands on a huge stone platform and currently houses murtis of Radha and Krishna. Rama Raja Temple: This could be the only temple where Lord Rama is worshiped as a King and not as a god, and also can be considered to be one among the unusual temples of India. This palace turned temple has an interesting legend associated with it. 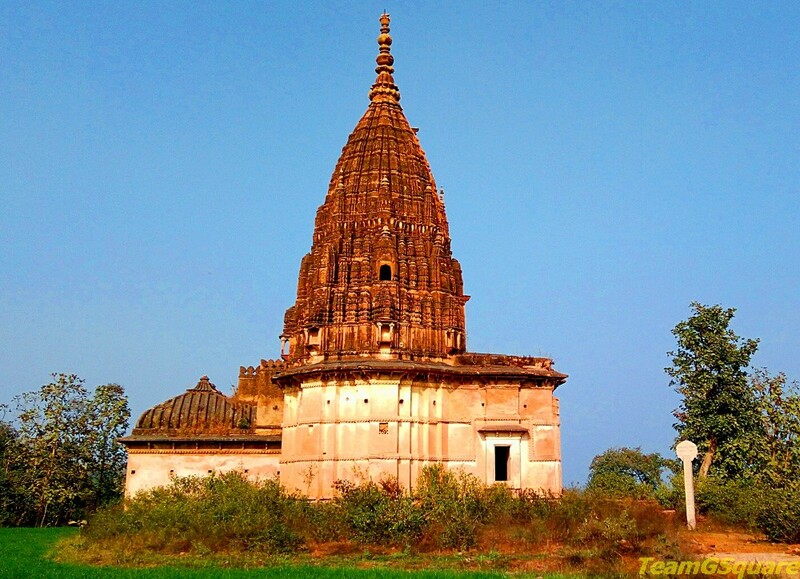 It is the most lively temple in this historical town and is a must visit to every tourist visiting Orchha. Shiva Temple: This temple is dedicated to Lord Shiva and may have been built during the 17th century on the basis of its architecture features. 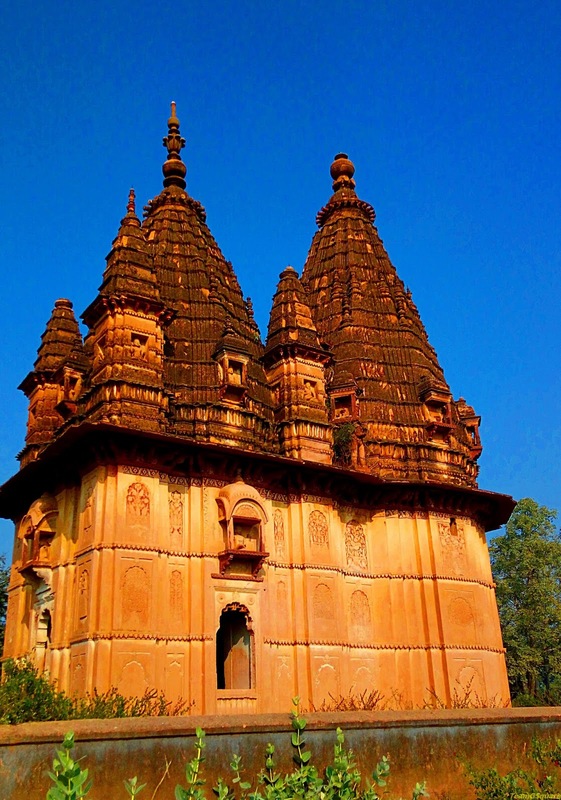 The temple is located outside the fort complex near the river Betwa. The Shivalinga and the images of Shiva have been shifted to Rama Raja temple. Vanvasi Rama Mandir: This temple is dedicated to Lord Rama and was constructed during the reign of Maharaja Vir Singh. Like that of the Shiva temple, murti of Lord Rama has been shifted to Rama Raja temple. The Shikara of this temple is of Bhumija style of temple architecture. Radhika Vihari Temple: This temple is dedicated to Radhika Vihari and was constructed during the reign of Maharaja Vir Singh. The Garbhagriha of this temple has panchrathi projections and a spire decorated with urushringas (subsidiary towers) of Khajuraho Style. 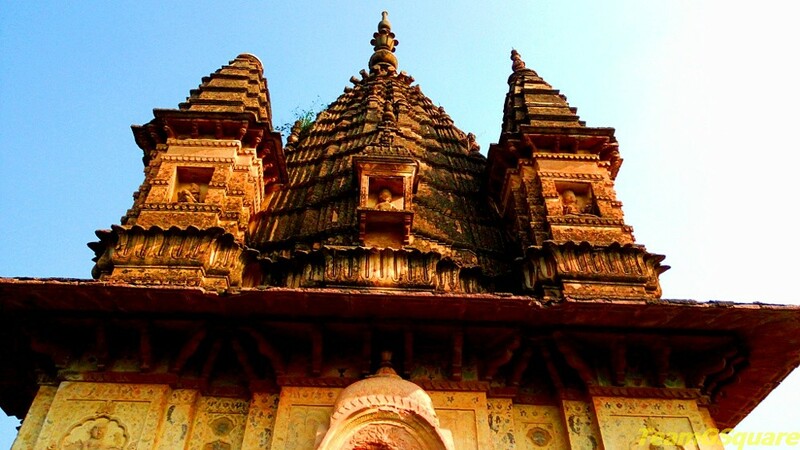 This beautiful temple is the one of the best specimens of Bundela architecture. Panchmukhi Mahadeva Mandir: This temple is located inside a fortified square courtyard. This temple also can be dated to 17th century AD based on its architectural features. The temple architecture is representative of the Astabhadra (octagonal) plan of Bhumija style of Architecture. The other temple in this complex is of a similar plan, but of a smaller size. Lakshmi Temple: This beautiful temple is rectangular in plan and was built by Vir Singh in 1622 AD. The inner walls and hemispherical ceilings of this temple are profusely decorated with paintings depicting lives of the kings and queens and stories from the epics of Ramayana and Bhagavad Gita. Beautiful temples. Loved the post and photos. Gorgeous temples. Nice coverage of the temples of Orchha. Beautiful temples wonderfully captured and interesting information. Very beautiful temples. So many of them.